Glyn Forshaw is the principal of The G4 Physiotherapy service. After qualifying he worked for several professional sports clubs and clinical practices across the UK. Focussing on the client as an individual and their needs, he developed into an efficient and effective practitioner. 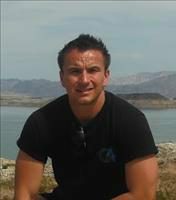 With a lot of Ministry Of Defence experience he has been fortunate to be a physiotherapist for the Royal Marines during training exercises and military operations around the world. Glyn and the team take a close personal interest in all their clients and show great passion and enthusiasm during the treatment and rehabilitation process. Glyn was awarded “Her Majesty’s Lord Lieutenants’ Certificate in 2007 for devotion to duty and outstanding service to Her Majesty Queen Elizabeth II around the world. Glyn graduated as a Chartered Physiotherapist in 2002 from the University of Huddersfield, is a member of the Chartered Society of Physiotherapy (MCSP) and is registered with the Health and Care Professions Council (HCPC).